​Seafield Avenue, Keith, Banffshire, AB55 5BS. Meaning valley of the river Isla. 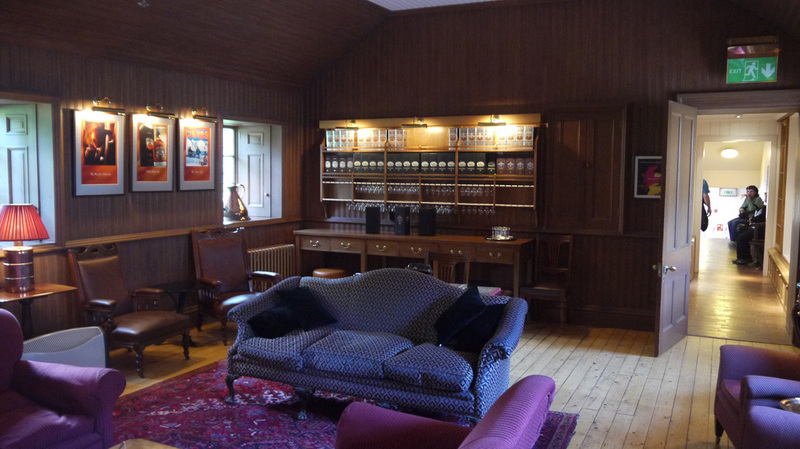 Strathisla Distillery is open to the public - mainly for the promotion of Chivas Regal. Check website for details as closed winter 17/18 for refurbishment. Not photographer friendly I got the picture of the stills through the open still room door. 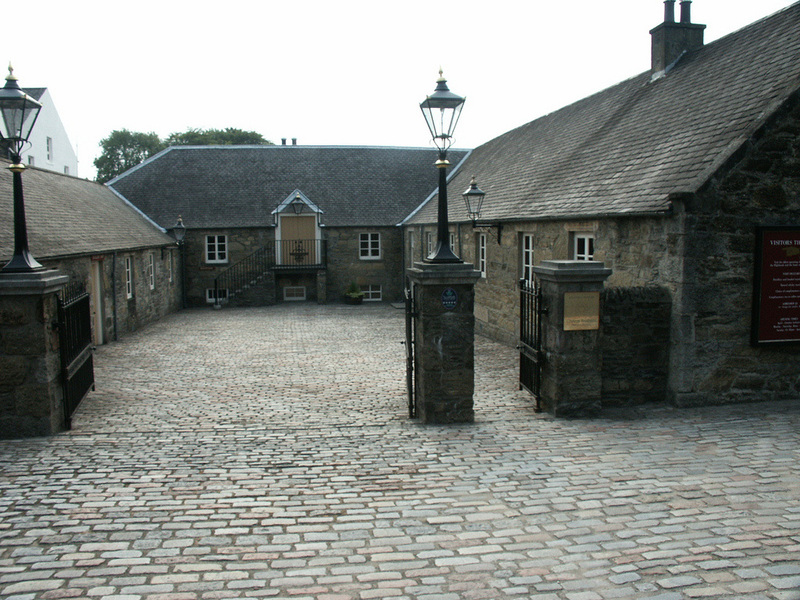 One of the oldest distilleries in Scotland, originally named Milltown then Milton, after the nearby Milton Castle (now all that remains is Milton Tower). The twin pagodas and water wheel that dominate the distillery's appearance were added in the late 19th century. By that time the distillery had been known as Strathisla and the brand name was retained, but between 1890 and 1951 it was known as Milton-Keith. Although it has always supplied malt for Chivas Regal, it only became the home of Chivas when purchased by their parent company Seagram in 1950. Stills increased to 4 in 1965. There have been close connections with the nearby Glen Keith, where Strathisla is still pumped for filling. The peated Craigduff may have been distilled here - Signatory who have bottled it, originally identified the source distillery as Strathisla, but have subsequently stated that they believe it to have been distilled at Glen Keith - though Chivas have insisted it was distilled at Strathisla! No warehouses on site - Chivas has a vast warehousing facility close to Keith railway station. Click the Google logo on the above map to see access Directions, Street View etc. The nearest station: Keith (KEH) (< ½ mile) Live Train Times. Strathisla Distillery is on the B9116 (Seafield Avenue) , which is the first left off Station Road when leaving Keith Station. You can't miss it. 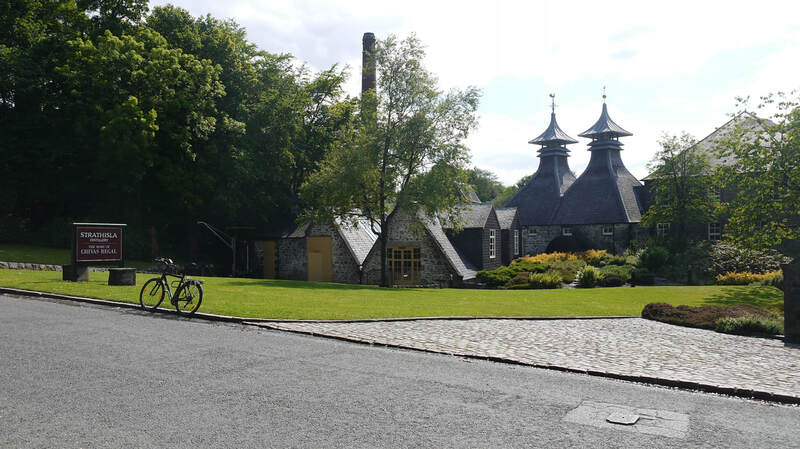 Strathisla is the home of Chivas Regal, and most of the spirit is destined for Chivas blends, but they bottled a 12yo single malt for a long time - at 43%, but this was replaced with a 40%. Independent bottlings other than from Gordon & MacPhail are rare. G&M have bottled a considerable number of aged Strathislas over the years, many of which are still available - at a price. There are also a few SMWS bottles. Not a shop - has a page on the Dufftown.net website - provides repairs and spares - assisted Whisky Cyclist in 2014 when stranded in Craigellachie with a damaged tyre and a broken pedal in 2017. Photos on this page were taken by me. Click on photo to enlarge. 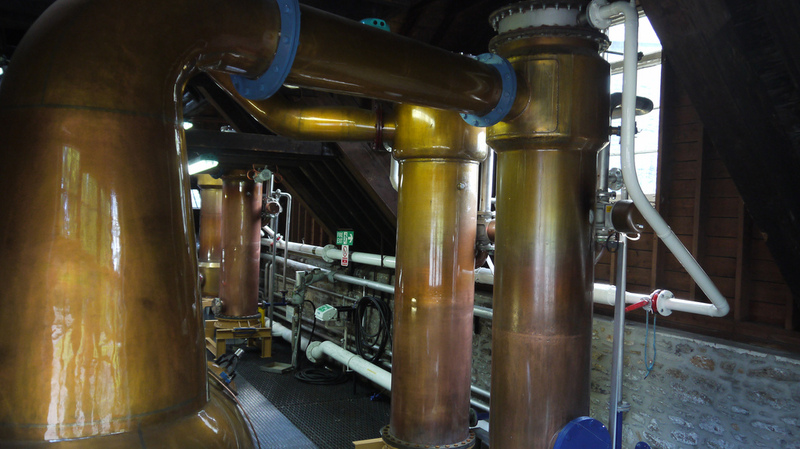 Full size versions of all my photos of Strathisla Distillery are available on Flickr.